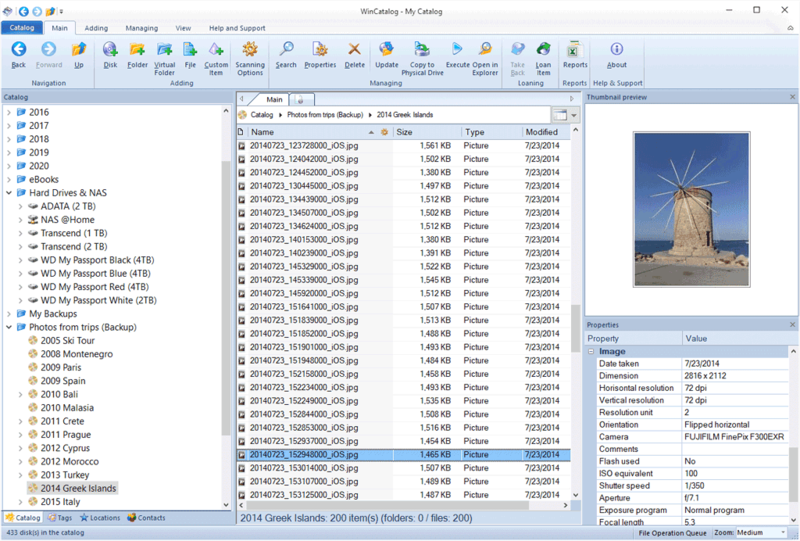 WinCatalog 2018 indexes files and folders from disks for finding files and data without having to reach for the original disk: Hard Disk, Pen Drive, Network Drive, CD, DVD, or other. WinCatalog 2018 is database driven. It uses the industry standard SQLite database engine in the core. This helps to operate with collections of any size. No matter how many disks, files, or folders are stored in your collection – WinCatalog 2018 will handle all of them!